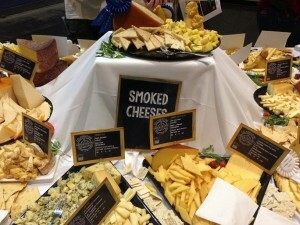 The American Cheese Society’s 2014 conference in Sacramento was a whirlwind of fantastic panels, networking events, and, for some of us, the CCP exam, a difficult test of all that we’ve learned throughout our years in the cheese business. 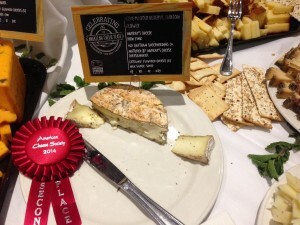 On the second to last day, these experiences culminated in the Awards Ceremony, where the best American cheesemakers were honored for their outstanding products. As exciting and emotional as the Ceremony was, the real fun occurred on the last day of the conference, the Festival of Cheese. 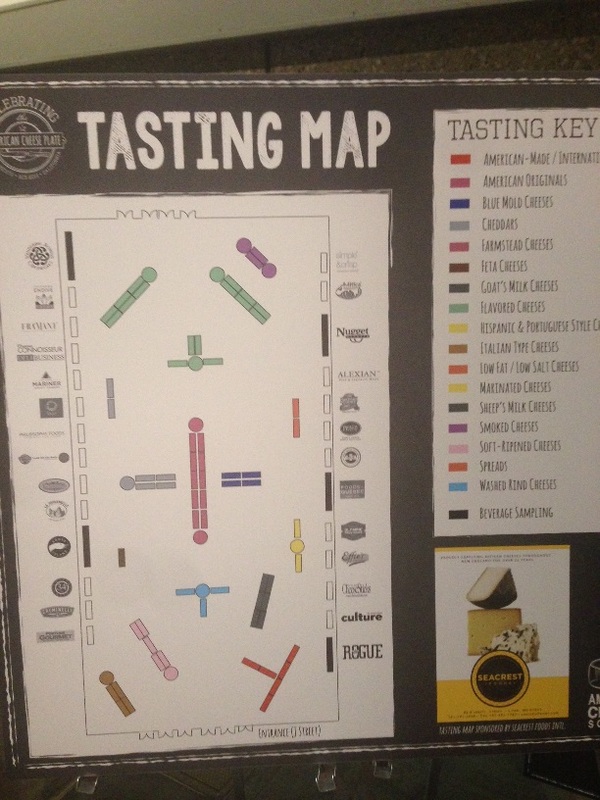 Here, every entry to the Awar ds Ceremony was available to taste, not just those that won a ribbon. Stretching as far as the eye can see, the conference hall was filled with towers of Alpine-style cheeses, smorgasbords of oozy bloomy-rinds and mountains of meaty, pungent washed rinds. Entire rows devoted just to flavored cheeses, smoked cheeses, hispanic-style cheeses; the Festival was truly a turophile’s heaven. As a buyer at Murray’s, I am lucky to have the opportunity everyday to try all manner of tremendous cheese from across the globe, but it’s staggering just how many fantastic new and established American cheeses were present, especially when seeing them all in one place. There is no doubt that our domestic industry is robust and healthy, and leading the way globally in innovation and quality. 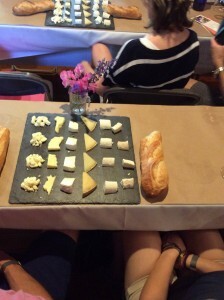 After being presented with a plate and wine glass (everything one needs for a successful cheese tasting), our first stop took us to the Alpine-style table to taste the winner for best-in-show, Spring Brook Farm’s Tarentaise Reserve. Modelled after the Alpine cheeses of eastern France, such as Abondance and Beaufort, Tarentaise has long been a staple on Murray’s counter, and the 2-year extra-aged version is a thing of beauty: a pronounced and lingering sweetness, an underlying current of roasted hazelnuts and brown butter, and satisfying crystallization. Truly a world-class cheese, on par with the best extra-aged Comtes and Gruyeres. Look for a special Tarentaise aged in our caves to hit our counters at the end of August, with a profile between the reserve and the original, exclusive to Murray’s. 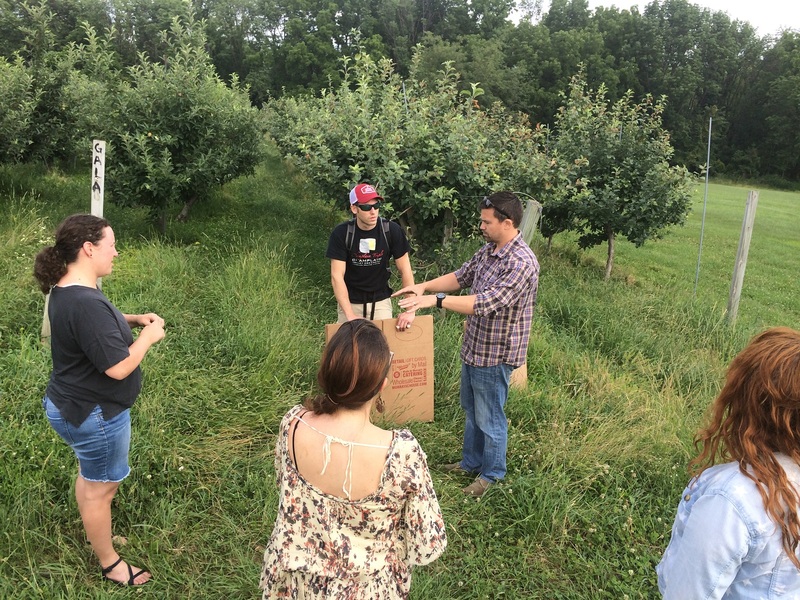 After refilling our glasses with some terrific dry cider from Oregon’s Aengus Ciderworks, we visited our own Murray’s award winners, Hudson Flower (our collaboration with Old Chatham Sheepherding Company) and Torus (our collaboration with Vermont Creamery). These cheeses mark our first ribbons at the festival, taking second place in their respective categories. While we’ve long been known for our cave-aging, this marks the first time that affinage-specific collaborations have been honored at the festival. 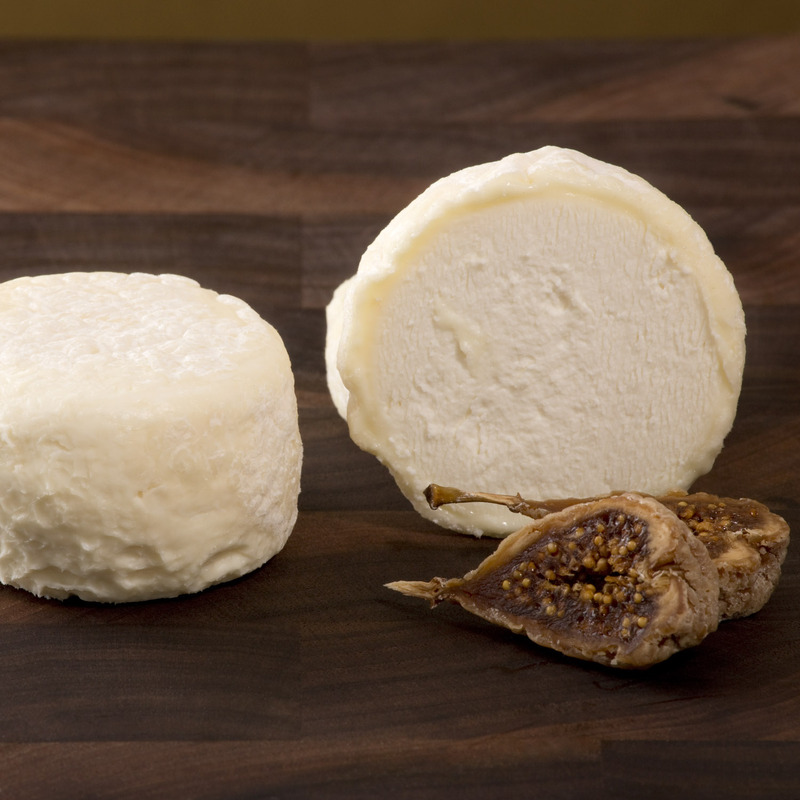 These partnerships with some of our favorite creameries have been very successful, and we can’t wait to roll out more Cavemaster Reserve cheeses soon. And hopefully we’ll have wins for Greensward, our collaboration with Jasper Hill, and Barden Blue, our collaboration with Consider Bardwell, next year! With the multitude of choices on offer, at this point we started bouncing around from table to table, trying whatever caught our eyes. Some of the best cheese new to me were the amazingly nuanced washed rind goat cheeses from Briar Rose Creamery, and Bleating Heart’s stunningly sheepy tommes and blues. We also had a chance to nibble on goodies from some of my favorite charcuterie purveyors, Olympic Provisions and Fra’mani, whose cured meats provided perfect counterpoints to mountains of dairy products filling the conference hall. As our stomachs grew full and the conference wound down, I began to reflect on all the amazing experiences our team had at the conference this year. We had our wills and knowledge tested in the CCP exam, learned a tremendous amount from the stellar panels, and had a lot of fun relaxing and hanging out with our colleagues from around the country, but what will stick with me the most is the incredible talent, passion and love that American cheesemakers and retailers have for these amazing products, and the change they are affecting across the American culinary landscape. 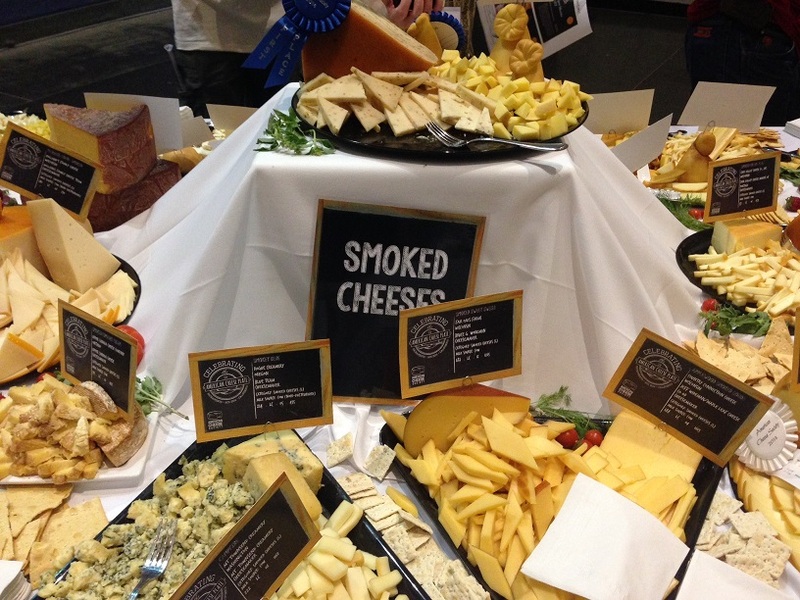 The Festival of Cheese was the perfect encapsulation of this, and a fitting end to an unbelievably successful American Cheese Society conference. I can’t wait for next year’s in Rhode Island! Every year we roll out our Little Big Apple cheese and every year a group of dedicated Murray’s employees venture out to the Hudson Valley to visit the Warwick Valley Winery and Distillery. The task is to gather boxes and boxes of apple leaves, picked from their lush orchard, to be boiled down and soaked in a local Apple Jack brandy. It was my first time going on this adventure and I was excited because my particular world of cheese so rarely expands beyond the walls of our Distribution Center in Long Island City, Queens. 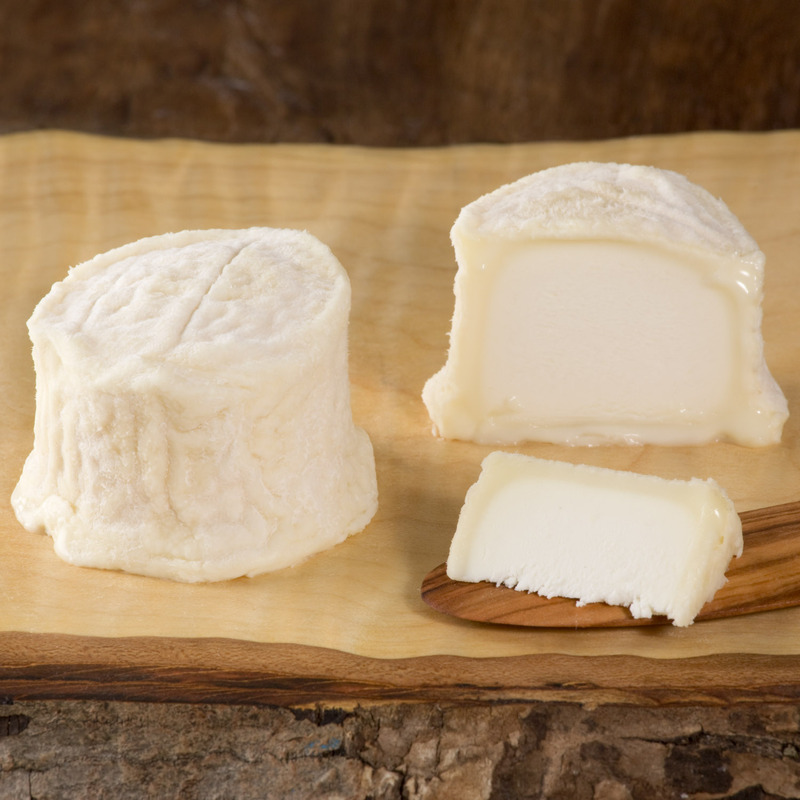 The Little Big Apple, for those who don’t know, takes the already delicious Champlain Valley Triple Cream (which we sell year-round) and adds a touch of Murray’s magic to it. 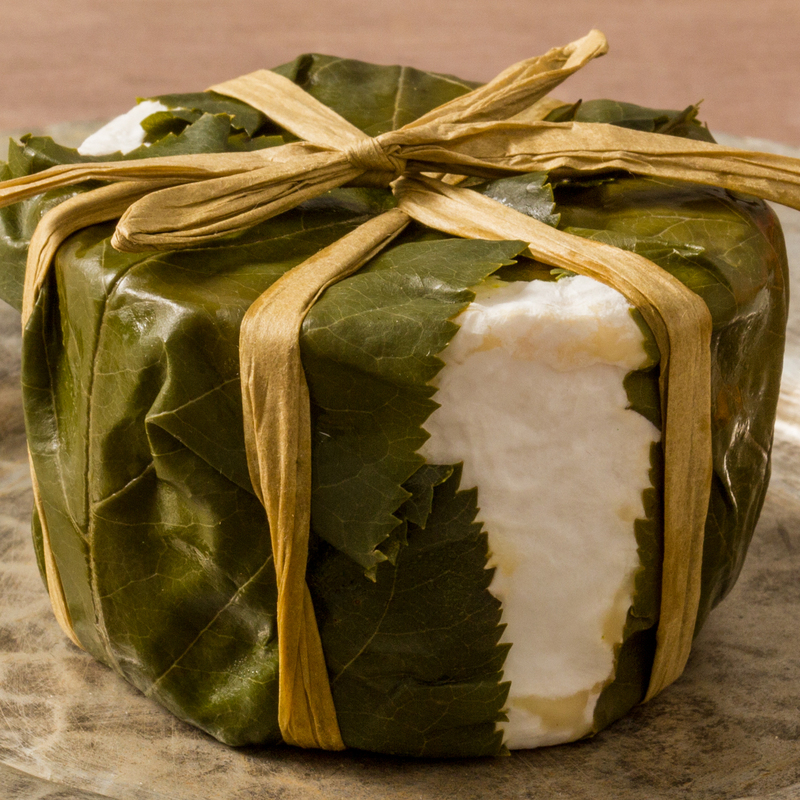 We give it a bit more time in our specialized cheese caves to give it just the right amount of richness and then wrap in leaves to give it a touch of crisp sweetness. 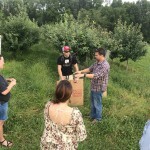 My day in the orchard had a few more challenges than I was anticipating, but it certainly wasn’t anything I couldn’t handle. Yes, the sun was especially aggressive that day and I simply wasn’t prepared for the sheer number of beetles that I would encounter but, for once, I had a small hand in the cheese making process. Our resident Cave Master, Brian Ralph, was leading the trip and gave us semi-specific instructions as to which leaves we were looking for, and while that caused some people on the trip to be overly cautious, I took a more liberal approach and tried to win the day with quantity. After we finished up, we took lunch and enjoyed a more relaxed afternoon of exploration. There was a bit of shopping before we moved on to a tour of the distillery. 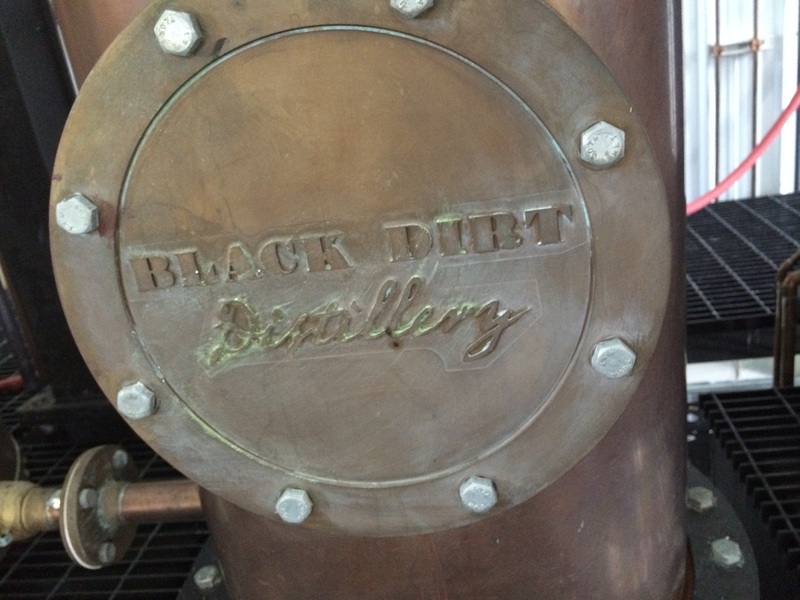 The art of distillation is something I’m woefully ignorant about so it was exciting to learn the basic of basics and to obtain a an understanding of what goes into the process. We met many of the people who work at Warwick and they were happy to teach us about their craft. There was even a quick cider tasting squeezed in at the end of the day before we had to get back on the road. The trip back into the city was a quick one, as the sun had gotten the best of me, and I was forced to take a late afternoon nap—the true sign of a fruitful adventure. The man. The myth. The Legend. Chris Roberts. 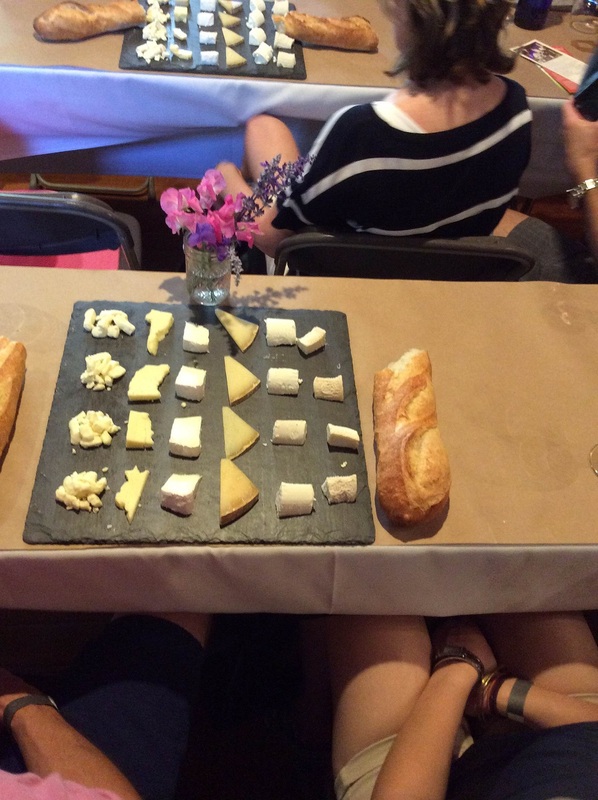 Vertical tasting explores the history of a cheese: how it starts (as milk, as curd, as a fresh cheese, as a toddler) to how it ends up in its final expression. 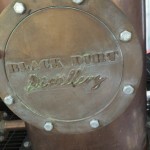 It is the most immediate and accessible way to taste and understand affinage. By eating a cheese at different stages of its development, you taste the flavors that can develop with careful treatment, age and time. 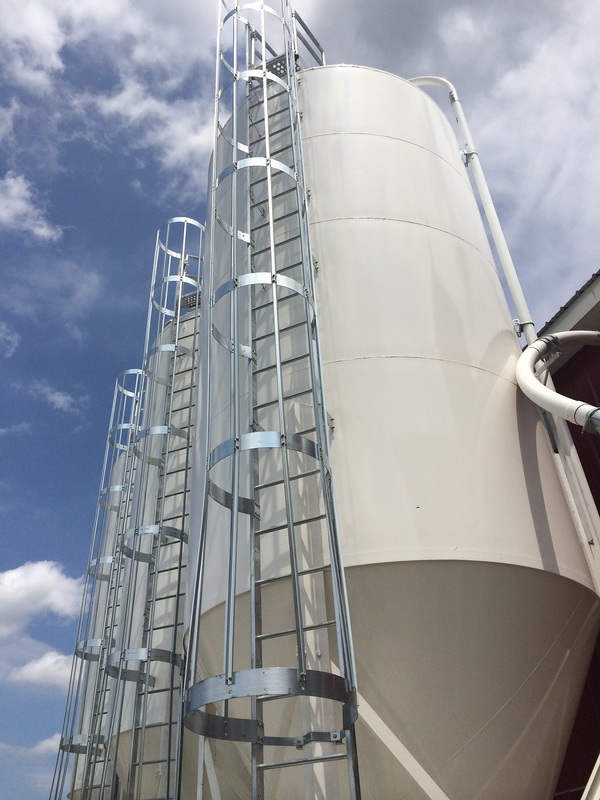 While attending July’s Vermont Cheesemaker Festival, I attended a seminar in which three featured cheesemakers chose a different way to explore this process, and with different milk types. 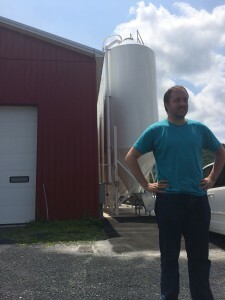 Granular curd cheesemaking is the rare, work-intensive process that Plymouth Artisan Cheese owner, Jesse Werner, was able to showcase with his fresh curd and year-old Plymouth “The Original” side by side. From an 1890’s recipe, the curd was squeaky, delicious and a tiny bit tangy. 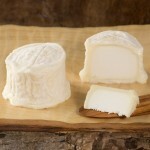 The “Original” is made with those same curds and has a bright, acidic, cheddary flavor, much altered by age and process. The Mozzarella Making class at Murray’s also offers the opportunity to taste both curd and cheese, with a fun, hands-on addition of making your own mozzarella in the classroom. This vertical pair explored the same milk type expressed in two styles: one younger and soft, one older and hard. Summer Snow vs. the Wheston Wheel – you can even hear it in the name; the first cheese is a delicate, exuberant, young, soft cheese with a tender, slightly squeaky rind while the second is nuttier, sweeter, complex and more robust. From fresh chèvre to brain like and acidic, the Crottin’s final form is the Bijou. The first cheese has a tiny amount of the geotrichum, which adds a slight yeasty flavor at a day old, develops into a full rind by the second week to become an entirely different cheese. This vertical pairing is a perfect example of how much a cheese can change in just two short weeks, and how both can be delicious in their own right. 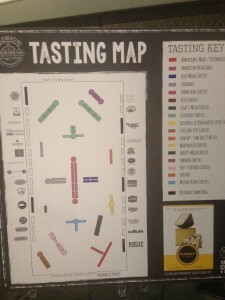 Try out a vertical taste test on your own! At Vermont Creamery we are known for making the best fresh and aged goat cheese in the country. We’ve been in business since 1984, and have been working with Murray’s for almost that long – way back when Rob, Frankie and Cielo were all behind the counter at the tiny shop on the corner of Bleecker Street. Our creamery crème fraiche, butter, and fresh goat cheese became a staple at the store, as did our small geo-rinded cheeses (the brainy-looking cheeses that are made with Geotrichum candidum mold). Over the years we’ve shared cheese beyond the shop, too – teaching classes, visiting restaurants, even hosting a bus of cheeselovers on a trip to the Vermont Cheesemakers’ Festival. 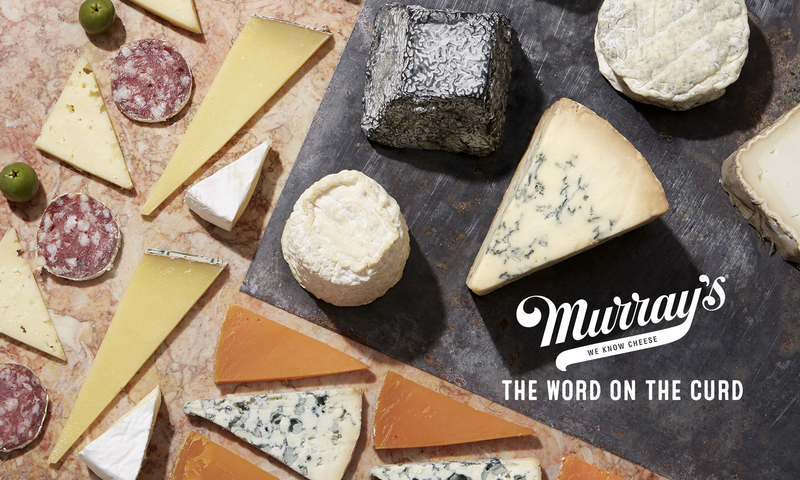 As Murray’s and Vermont Creamery continued to grow, what was left to do but create a brand new cheese, one that was made in Vermont and sent to age in the caves below Murray’s in New York City? Since we are known for our geo-rinded cheeses, it made sense to make an un-aged, or “green,” geo cheese for Murray’s to age – and that’s just what we did. Vermont Creamery cheesemaker, Adeline Druart gathered the wish list from Murrays: Size? Small. Shape? Round. Ash? Nah. Creamy? YES. Yeasty-sweet-earthy-complex? Obviously. And yup, that signature brain-y Geotrichum rind, please. Our cheese expert friend from Australia, Will Studd put in his two cents and suggested we cut out the center, making a donut to create even more surface area for a yummy rind throughout. And with that brilliant idea, Torus was born. Sounds easy enough? Not so. Adeline and the Murray’s cave master Brian Ralph worked for a year to perfect this little “donut.” Moisture and salt levels had to be just right. The milk had to be selected to accommodate the natural climate in the cave. The cave master had to “wake up” the dormant yeast and cheese cultures inside the carefully packaged and cooled cheeses to assure that the rind would grow properly in the cave. Luckily, with time we got it right. The result is a quintessential Geo goat cheese, with a flavor and texture unique to Murray’s and Vermont Creamery’s partnership. What’s in a name? Donuts make us think of Homer Price. And Homer Simpson. But we would like to think that making a good cheese requires more savoir faire. After lists of names by many, Murray’s buyer Aaron Foster came up with “Torus,” the geometric term for the ring shape of the cheese. Indeed an artisanal replica of a geometric torus, we also think of Taurus the bull, an equally appropriate image for this cheese that required tenacity and drive to create such a satisfying reward. 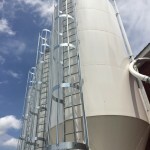 Vermont Creamery has spent years developing the Geotrichum category of goat cheese in America, both in perfecting the cheese and also in educating the market. We are delighted to share the challenge with Murray’s who will serve their customers with a unique taste of Vermont and Manhattan terroir this holiday season.